SANTA MONICA, CA and VANCOUVER, BC (January 27, 2016) – Four years after Jennifer Lawrence first appeared on the big screen as Katniss Everdeen in The Hunger Games, Lionsgate’s (NYSE: LGF) critically acclaimed series based on Suzanne Collins’ best-selling book trilogy comes to a thrilling resolution in The Hunger Games: Mockingjay - Part 2, arriving on Digital HD March 8 and on Blu-ray Combo Pack + Digital HD, DVD + Digital, and On Demand March 22, the company announced today. 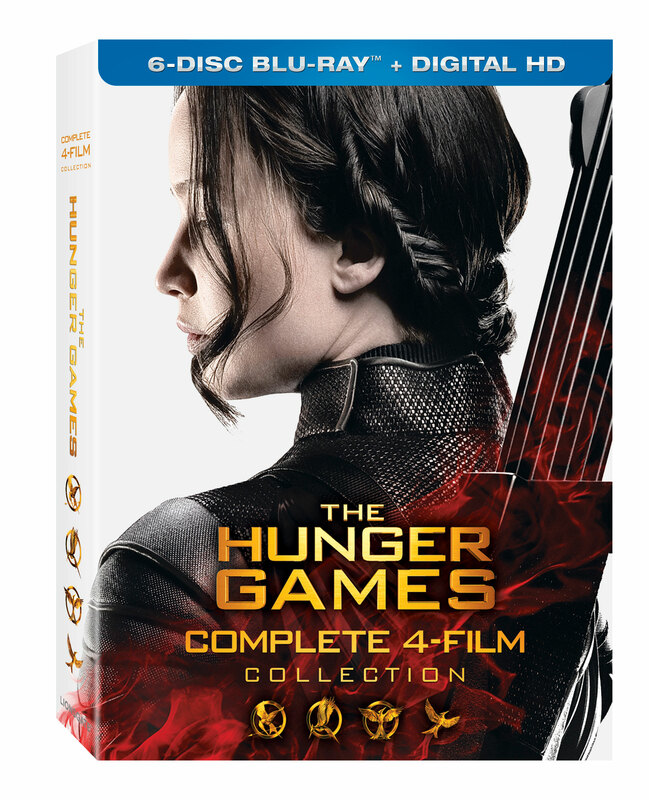 In addition, for the first time ever, The Hunger Games Complete 4-Film Collectionwill be available on Blu-ray and DVD on March 22. With $647 million worldwide box office and counting, The Hunger Games: Mockingjay - Part 2 set the world on fire and enthralled millions of devoted fans across the globe. 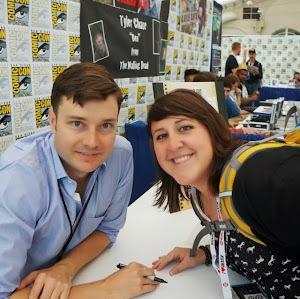 With a critically acclaimed cast including Academy Award® winner Jennifer Lawrence (Best Actress, Silver Linings Playbook, 2012), Josh Hutcherson (Journey to the Center of the Earth), Liam Hemsworth (The Expendables), Academy Award® nominee Woody Harrelson (Best Actor, The People vs. Larry Flynt, 1996), Emmy® nominee Elizabeth Banks (TV’s “Modern Family”), Academy Award® winner Julianne Moore (Best Actress, Still Alice, 2014), Academy Award® winner Philip Seymour Hoffman (Best Actor, Capote, 2005), Golden Globe® winner Jeffrey Wright (HBO’s “Angels in America”), with Academy Award® nominee Stanley Tucci (Best Supporting Actor, The Lovely Bones, 2009), and Golden Globe® winner Donald Sutherland (Citizen X), The Hunger Games franchise is a worldwide phenomenon earning over $2.9 billion at the box office worldwide. Jennifer Lawrence stars as Katniss Everdeen, who began her journey fighting to survive the brutal Hunger Games, and rose to lead the rebellion against Panem’s tyrannical president (Donald Sutherland). Now, Katniss and a team of rebels from District 13 prepare for the epic battle that will decide Panem’s future. 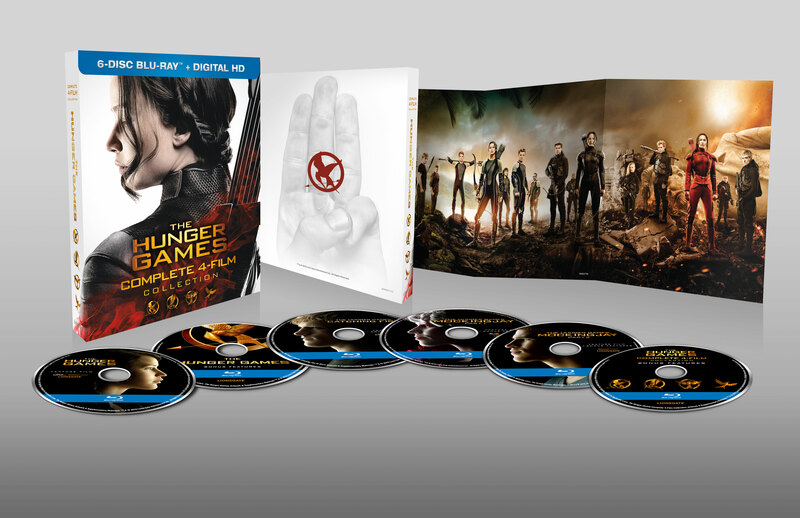 Based on the third novel in Suzanne Collins’ trilogy, the must-own limited edition Blu-ray release is packed with over five hours of special features, including the “Pawns No More: Making The Hunger Games: Mockingjay - Part 2” 8-part documentary – an in-depth look at the making of the film from production design, costumes, hair, make-up, stunts, special effects and post production. The documentary also includes a touching piece – from the last day of shooting – in which the cast reflects on their experience shooting the four films. Also included is a detailed look at Cinna’s sketchbook and a walk through the on-set photography along with audio commentary by director Francis Lawrence and producer Nina Jacobson. The Blu-ray is encoded in Dolby TrueHD and features a Dolby Atmos®soundtrack, which delivers captivating sound that places and moves audio anywhere in the room, including overhead, to bring entertainment alive all around the audience. 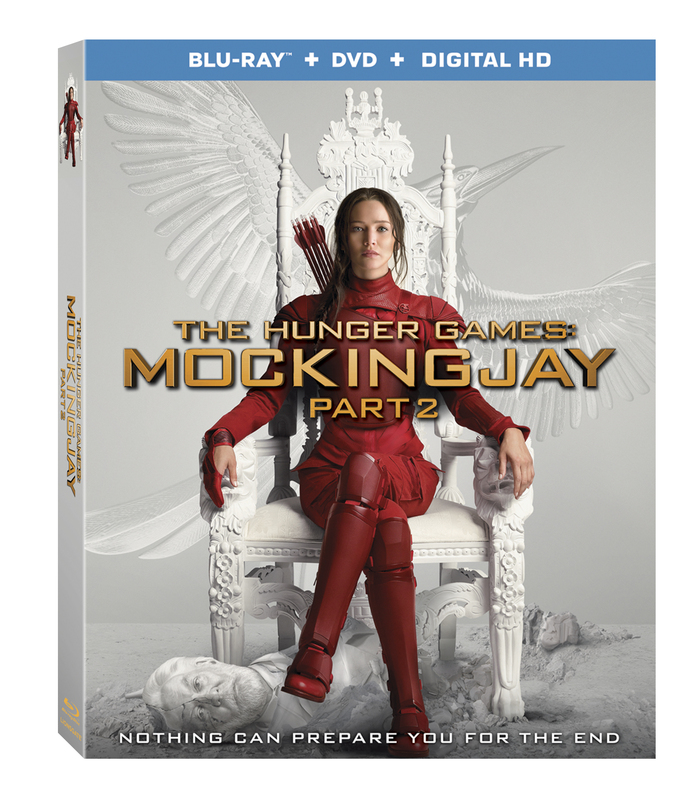 The Hunger Games: Mockingjay - Part 2 Blu-ray and DVD will be available for the suggested retail price of $39.99 and $29.95, respectively. Also available for the first time as a set on Blu-ray, DVD and Digital HD, The Hunger Games Complete 4-Film Collection includes The Hunger Games, The Hunger Games: Catching Fire, The Hunger Games: Mockingjay - Part 1 and The Hunger Games: Mockingjay - Part 2 with all of the special features from each film’s initial release plus hours of all-new exclusive content including 13 never-before-seen deleted scenes from The Hunger Games and The Hunger Games: Catching Fire and two all-new featurettes: “Picturing Panem” and “Capitol Cuisine.” The Hunger Games Complete 4-Film Collection will be available on Blu-ray and DVD for the suggested retail price of $64.97 and $54.98, respectively. Title Copyright: The Hunger Games: Mockingjay – Part 2 © 2015, Artwork & Supplementary Materials TM & © 2016 Lions Gate Entertainment Inc. All Rights Reserved. Rating: PG-13 for intense sequences of violence and action, and for some thematic material. Title Copyright: The Hunger Games © 2012, The Hunger Games: Catching Fire © 2013, The Hunger Games: Mockingjay – Part 1 © 2014, The Hunger Games: Mockingjay – Part 2 © 2015, Artwork & Supplementary Materials ™ & © 2016 Lions Gate Entertainment Inc. All Rights Reserved. Rating: The Hunger Games: PG-13 for intense violent thematic material and disturbing images - all involving teens. The Hunger Games: Catching Fire: PG-13 for intense sequences of violence and action, some frightening images, thematic elements, a suggestive situation and language. ​​ The Hunger Games: Mockingjay – Part 1: PG-13 for intense sequences of violence and action, some disturbing images and thematic material. The Hunger Games: Mockingjay – Part 2: PG-13 for intense sequences of violence and action, and for some thematic material. Feature Run Time: The Hunger Games: 142 minutes. The Hunger Games: Catching Fire: 146 minutes. ​​ The Hunger Games: Mockingjay – Part 1: 123 minutes. The Hunger Games: Mockingjay – Part 2: 137 minutes.